I spent this past Saturday hanging out at the Farmer's Market at Third & Fairfax with Dean, my sis + Billy, my cousin, her boyfriend, and my aunt. We visited shops, sampled different foods, and wandered the market leisurely. I spied these beautiful Evian bottles at a French cafe at the market, and I immediately HAD to have one! Luckily, the shop across from the cafe just happened to have them for sale (I'm sure it was strategic on their part). My sis and I both snatched one up. We were quite shocked by the hefty price tag of $6.99/bottle + CRV, but we do hope to reuse them as vases in our homes. 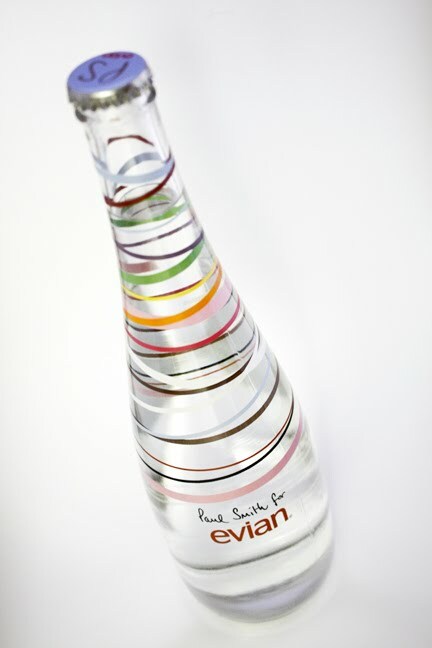 :) The limited edition bottles were designed by British fashion designer Paul Smith and come with five different colored caps. I got a blue cap! how do i get talked into these things when i am around you...?